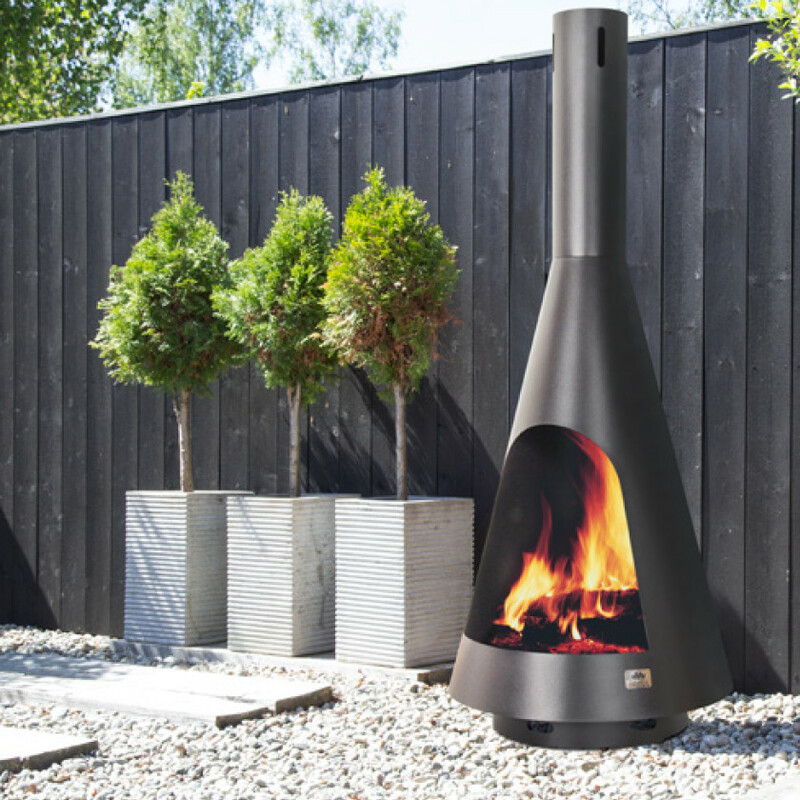 The Cone is a sleek, modern fireplace that completely transforms, yet blends in with almost any garden space. Just imagine; the fresh air, the crackling and popping of the wood as the flames dance joyfully on an beautiful autumnal evening and you and your family or friends sitting enjoying great food and great times. It’s high quality black paint finish is made for all year round usage, so you can enjoy the Cone for as many days as the weather allows. To protect your patio and/or garden, there is an optional base plate.